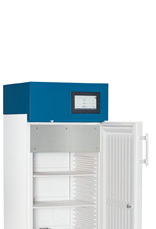 No matter, if continuous incubation of microbiological cultures or freeze-thaw alternating tests in building material testing – RUMED®s Cooled Incubators perfectly master all demands on temperature tests. 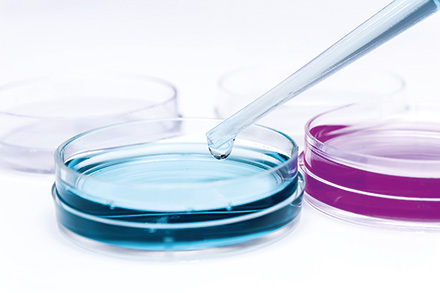 The precision appliances reliably provide reproducible results for the most different application ranges in research and quality control. What happens to an ointment, if it is stored continuously at 30 °C? What is the behaviour of a mobile phone in case of a sudden temperature drop below 0 °C? After which time the beer becomes cloudy? 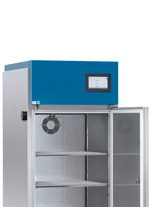 RUMED®s Temperature Test Cabinets provide quick and reproducible results in fast motion in all fields of research and quality control concerning these and other questions. 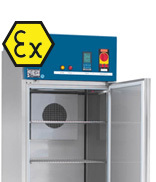 The appliances of the Eco-Line are designed for tests with temperatures from 0 °C to 50 °C. The temperature range of appliances of the Premium-Line can be extended down to -30 °C and up to +80 °C. The common feature of all appliances is a continuous, wear-free heating and an energy-saving, efficient cooling. 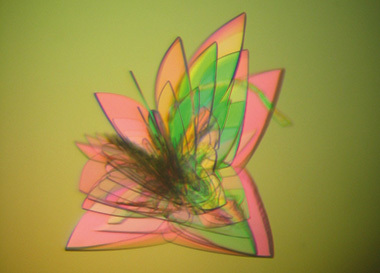 Protein crystals are very fragile: Freedom from vibration is a requirement for formation of these crystals. 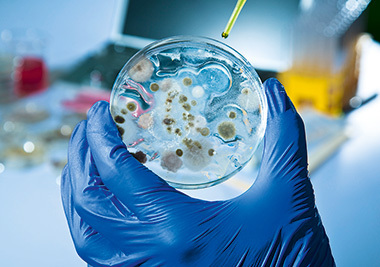 Living cultures in the Petri dish require a precise observation of the temperature. 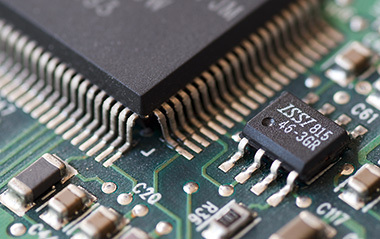 Test field electrical engineering: The board will be exposed to different temperatures. 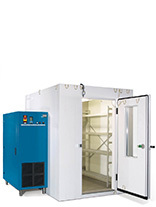 The high temperature accuracy in time, as well as in space is ensured by a continuously running fan. 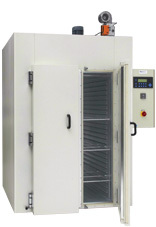 If required, the speed can be reduced, such as, for example to avoid drying of cultures. Coasting of temperature is almost avoided due to the low mass of the electric resistance heater. The heater is arranged directly in front of the recirculating air fan. The continuous and contactless control by means of a solid state relay allows an extremely direct and precise control. The advantage: High temperature accuracy and minimum wear. The standard execution includes an air-cooled refrigerating machine, which, in some appliances, is working with natural refrigerants. The compressor is running quietly and almost vibration-free. The efficiency of the heat exchanger is optimal. The entire cooling circuit is working with energy-saving solenoid valve-bypass technology ensuring that the compressor will only be disconnected, if cooling capacity had not been required for a longer period. The result: Reliability, high operating safety and durability. 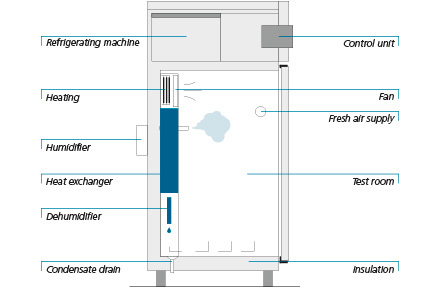 Optionally, water-cooled compressors can transfer the waste heat directly to a water chiller of the customer to avoid unnecessary heating of the installation place. 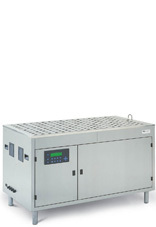 If only a restricted temperature and humidity range is required, a direct cooling by means of brine can be effected instead of the refrigerating machine.